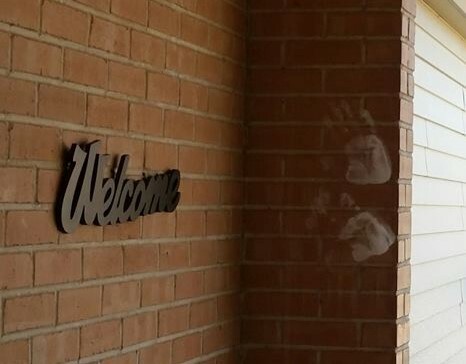 Two little handprints on a glass door at the church building. My first thought was that someone was going to be upset. The doors are dirty now. But then I noticed that these handprints were too high for the size of them. Someone must have been holding that little one in order for them to get those handprints that high up. I like clean doors, but all I could see that day was two small handprints, high on the glass. I think I know whose they were, but it really doesn’t matter. The evidence was there that someone had brought a child to the services of the church at this place. That is always a good thing. A tall person (dad, granddad, step-dad, foster dad) was carrying a small person (child). They were at services. They were learning and sharing. They were putting God first at that moment. Dad was setting an example and establishing priorities, a child was learning to love God and His Word. I like clean doors, but I love big people bringing little people to church! Parents demonstrating in action how important God is! God bless! !